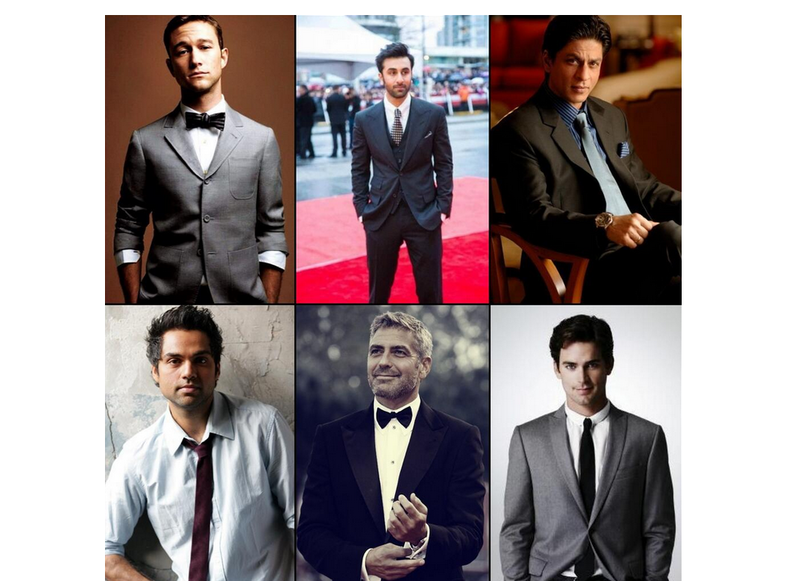 What’s common between all these hotties other than all of them being fabulous actors? Their clothes! With the right tips and tricks you might be the new most eligible hottie in the office. How, you ask? Read on! Formal fashion isn’t really something we talk about daily. Most of the guys just have a shirt, a pair of trousers, tie. Those who want to do it well mostly wear a blazer too. So how do you bring a fashionable twist to your formal wear? I’m ready with a few simple tips. – Think about pink, yes? Most men hesitate while trying on a pink shirt, I’ve seen it not just at work but also in my family & friends. WHY? Pink is so hot and it could even replace your everyday, boring blue shirt. Think about a soft pink shirt, combined with a mauve tie (or any other shade that’s in the same color family). – 50 shades of grey. Basic colors are easy to combine. Try playing around with different shades of grey. Try a light grey shirt paired with a tie in a darker shade of grey. Just like shirts, a monochrome tie is safe but boring. Add patterns and textured weaves to your wardrobe, and don’t be shy of mixing and matching. Contrast with the shirt is a good thing, so long as it doesn’t clash. And who doesn’t love quirky socks! Go to town with patterns! If you have a round face, opt for pointed collars. Their straight lines help give the illusion of a more defined jaw. For those with particularly narrow faces, a cutaway collar or a rounded penny collar can help soften sharp angles and make your face appear fuller. With these tips, I’m sure you’re the next office hottie. Good luck! How to sport tangerine lips!